We continue our interview series with Piero and Nicola – Owner of “LE SIU” an Italian shoes ‘brand. If you’re on the lookout for an authentic shoes while visiting the best wine and dine experience, then this article is a must-read. Their amazing collection, timeless Italian design, sophisticated craftsmanship and highest-quality materials will for sure make your purchase a memorable gift. Keep reading to find out some of Piero and Nicola’s recommendations for a charming brand to buy this year. 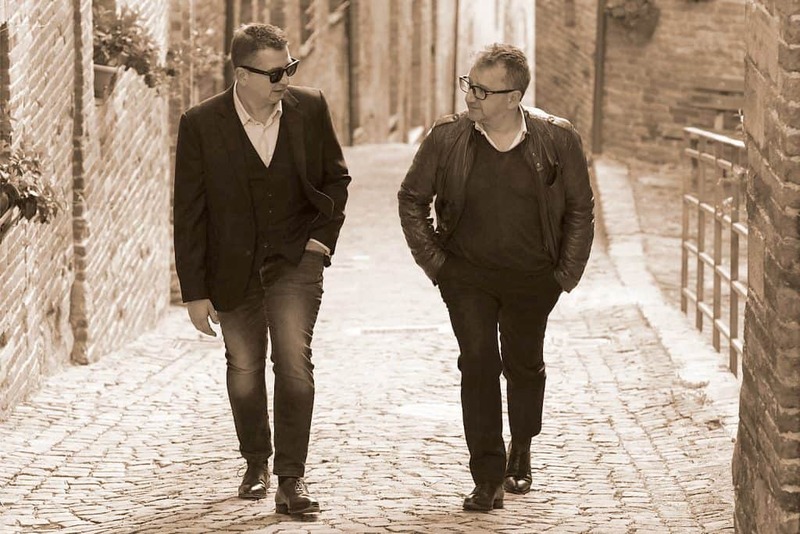 We are Piero and Nicola, two Italian brothers with a big vision. We are a well-equipped team of professionals. Nicola has huge experience in international business management, Piero is Architect with more than 20 years experience, with his background he combines the most advanced architectural designs and styles to the shoe-designing process making sure that our shoes always follow the latest fashion trends. We have a huge advantage over other shoe brands. Most of the world’s finest shoes are all produced in the same small place: few square kilometers in the Le Marche region of Italy. And yes, we live there, and our artisans live next door. We are Italians and we know how to talk to the most talented and qualified shoemakers in the land. We are friends with them, we speak the same dialect, share the same culture. We dreamed about creating the most state-of-the-art shoes. The ones which will last a lifetime. We selected the finest and most skilled artisans. We visited the veterans behind the true story of Italian designed shoes and carefully listened to their advice. We wanted only the best specialists. And we got them. All. It has been hard and challenging, but we were shaping the soul of LE SIU and there could be no compromises. It is obvious to say that we are enormously proud of the result. 2- Can you introduce your Brand to our reader? LE SIU is not one of these big luxury brands: we do not have distributors and wholesalers. We do not spend billions on traditional advertising. Luckily, we can pass all these savings on toward maximizing the quality of the product. Which, in the end, it is the one and only essential thing for us and for the customers. Our first rule is that cost prices should never play a primary role for LE SIU. Instead, we aim to perfectly combine: timeless Italian design, sophisticated craftsmanship and highest-quality materials. On top of this we know that “comfort” is one of the key points to retain customers, even for high-heels shoes. Our technicians constantly strive to maximize fit and walkability of any kind of our shoes and under any condition. You might ask yourself where the name LE SIU comes from. One thing was clear to us from the very beginning. The brand name should have represented the embodiment of our culture, our values and our love for exceptional Italian design. That’s is why we are LE SIU…and it could not have been any other name. LE SIU: Style Is Unseen, combined with “LE” which is a tribute to our language. “LE” it is the most used and gentlest Italian article, the one inseparably tied to the word “scarpe” (shoes), “THE shoes”…”LE scarpe”. 3- What are your ambition in China? China is probably the most difficult and most competitive market in the world. When we decided to analyze deeper the chances to enter that market, we were aware that the challenge would have been almost overwhelming, if not impossible, especially for two guys alone, with few financial resources and without a strong company behind. But this was our personal challenge, we firmly believed in the business model and we knew we will never give up. Soon we realized that – let alone those big Italian luxury names – we were “first comer”. LE SIU concept is still unique in the Chinese footwear landscape. The nature itself of the business model allowed to turn some structural weaknesses of the Italian footwear industry into an asset and a strength. We do firmly intend to make of LE SIU the smartest and coolest alternative to the big brands in the luxury industry. Consumers’ awareness climbs: the attention to the quality of the product, more than on the brand name printed on the label, increases. There is a widespread need to outline and express own individuality and personality. As already happened in the 90s in Italy, France, UK, USA, it is unavoidable that also in China the big brands will become more and more “standard”. LE SIU is not for everybody…and it should not be for everybody. LE SIU is there only for the ones who want to stand out from the crowd. 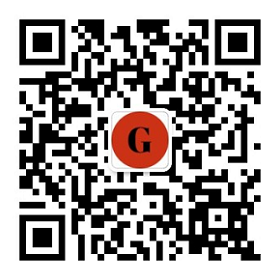 4- What do you know about the Shoes Market in China? We spent more than two years studying the business environment and most of all the Chinese culture. We commissioned professional market analysis and panel surveys to identify the target groups and to better understand the consumer behavior. Luxury footwear in China obviously benefits of the overall luxury industry’s success, being China the largest luxury consumption market in the world. After cosmetics, jewelry and women’s wear, it is footwear the segment with the highest growth rates (CAGR 21%). Online sales channel counts for only 9% but compared to offline, it keeps scoring 50% growth year on year, (vs. 19% of retail) and it is expected to reach 14% in 2022. The trends are driven by a structural change in the consumption behavior influenced by the booming of digital platforms and social e-commerce channels, by the increasing of the disposable income (especially regarding the upper-middle class) and last but not least by the stronger and stronger contribution of the “Millennials” who are digital savvy and who will increasingly influence in the next years the mentioned changes in the consumption behavior towards online and new brands. There is therefore a really huge potential for luxury footwear “Made in Italy” through the new online sales channels. While it cannot be disregarded nor underestimate the fundamental strategic importance of digital presence and web-marketing to gain and retain consumers, on the other side it is also true that traditional off-line will surely remain mainstream. A wise market strategy, although initially mainly focused on online, undoubtedly needs to follow an online-to-offline (O2O) development path to be effective and successful. 5- What is the reputation of Italian Brand in China? “Made in Italy” can be considered as a brand itself. Everywhere in the world, no matter wether in South America, Europe or Asia, something “Made in Italy” is automatically linked to “design” and “fashion”, and within fashion, specifically “handmade shoes”. Nevertheless, it has been very interesting to find out that Chinese consumers, when asked about Italian brands, spontaneously associate to them the concepts: “outstanding design”, “excellent quality” and “very expensive”. From a side this is a fundamental competitive advantage for LE SIU as Italian brand for luxury shoes, because the reputation of Italian brands in the segment is particularly high. On the other side the common thinking about an Italian brand, sets extremely high standards which Chinese consumers do expect to be fulfilled by any brands who claims to be real Italian. We say, “claims to be real Italian”, because due to the high reputation of “Made in Italy”, it is common to see brands in the fashion industry whose names and visual identities sound and look “Italian” but which in reality have nothing to do with Italy and, most of all, are far away from the levels of quality and design which consumers do expect. 6- What Chinese customers like with your Product? We were surprised to find out that Chinese customers are strongly interested on our manufacturing processes. 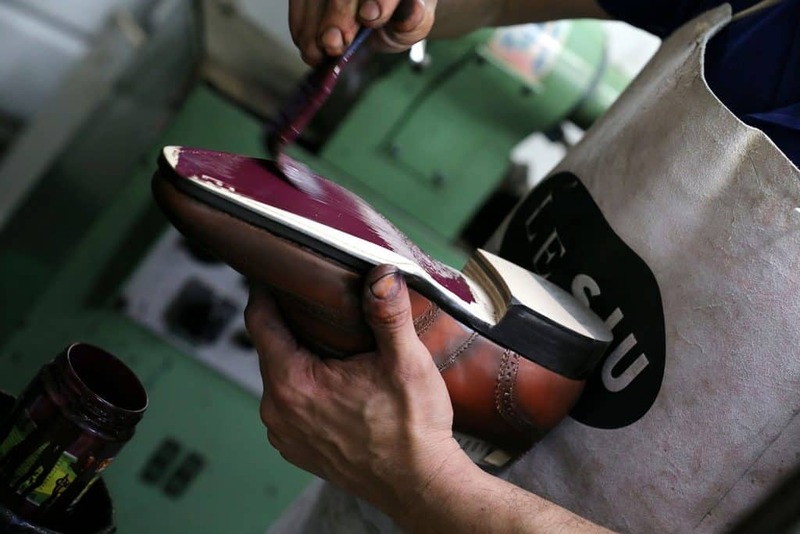 Yes, our shoes are completely handcrafted by the most skilled Italian artisans. Each pair is different from the other, people know that the shoes they are wearing are one-of-a-kind and they are proud of it. Our customers also appreciate much the way we design our collections. We keep consistent with the soul of the brand: “Style is Unseen”. Our Shoes are elegant and classy with an essential touch of individualism, which, at the end, is what makes the difference. There is also a further aspect which makes us very tankful to everybody who appreciates our brand. People love to know that LE SIU is not an abstract entity, not just another brand created by an impersonal marketing team of a multinational. Quite the contrary: LE SIU is alive, because LE SIU is nothing else than us: Nicola and Piero Venanzi, simply two very normal guys loving shoes and wishing to share our passion with people like us. 7- What is the next step for you in China? Launching the brand cannot be the goal. A clear development strategy is the only way to consolidate the business and to profitably sustain growth in the long term. We plan to introduce a top-class sneakers collection for women, to better intercept needs and expectations of the Millennials, whose consumption behavior will influence more and more the luxury segment, especially with regard to social e-commerce. We will diversify the product-mix by introducing women bags, wallets, belts and other men/women accessories, including eye-wear. The complexity of the market and the tough competition in the segment can be properly faced only with the necessary financial resources. We will look for reliable and open-minded partners/investors who believe in the brand and who are willing to growth with us. PreviousWhy the Chinese Real Estate Recession is a good News for global Real estate Businesses?